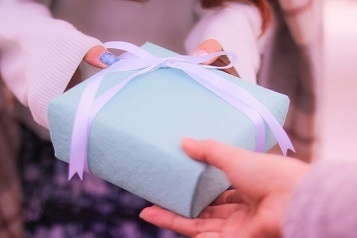 Today let me introduce some “gifts for ladies whom you may start dating “ which are recommended by our Japanese dating master, Saya !!! June is the rainy season in Japan. During rainy seasons, you can go to museum, movie for date, and how about going to Kamakura to view Hydrangea ? It's quite difficult to exchange a present among the men and women that isnt valentine's day, birthday and festive season. You may therefore would like to choose some casual present that would not seem weird to your date. “If it's slightly luxury, would i use it as i would like my special date to use it. Then, I'll introduce goods from the store I often use specifically, too! The sprayer which puts out the smell which stuck to cloth items of clothes. I think the package is also stylish and the fragrance also looks like an adult, and goods of the detergent brand of New York Idres ask about a taste! If she loves sweets, they are quite recommended ! The box of laduree macaron is so cute and some ladies use as a box even after she eats sweets. Tea of a fashionable package is found variously including horny& SUNS by Conran shop and Barneys New York. The daytime also uses a lip cream at any time of the year around from Shimoji in front of the lipstick, so when I have something of the brand, I'm happy! An organic towel speciality store gentle with skin. ２．Try to refrain from buying gift that are considered intimate including clothes and accessories. ３. Please don’t buy gifts that are contain too strong fragrance. Most of the products of the brand which I introduced today is available at Shibuya Hikarie. 👱What should you select in Singapore ? TWG is popular among Japanese too. For the ladies that you would like to date exclusively, I recommend the canned tea. All can color is beautiful, but if you know her favorite color, please give her the tea in her favorite color can.